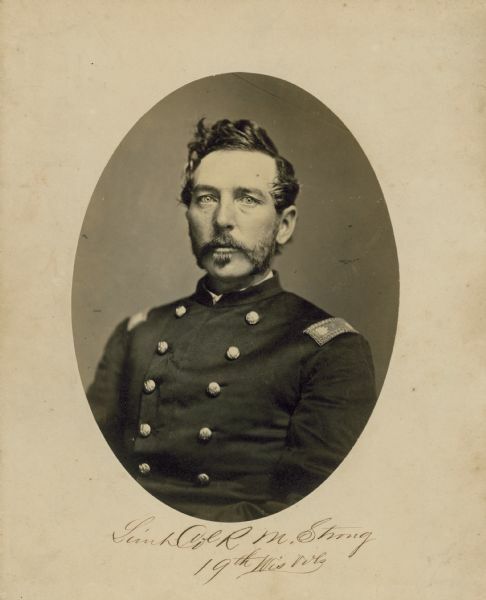 A veteran of the 19th Wisconsin Infantry recalls how Lieutenant Colonel Rollin M. Strong of Reedsburg outwitted Confederate soldiers after he was captured in the fog near Petersburg, Virginia, on May 16, 1864. All lost in the fog, he tricked them into walking back to where the colonel's regiment stood. From Original Text: Col. Strong went out in front of his lines to investigate the situation and while lost in the fog was captured by three Confederates. His captors asked him which direction he had come from and the colonel, who was very sharp and witty and suspected that the Johnnies were also lost in the fog, so he told them that he had come from the direction in which the Confederate lines lay. The rebels, thinking that they were advancing to their own lines, walked into the midst of Colonel Strong's regiment and were taken prisoners and the colonel released. One of the rebs remarked as he saw how they had been fooled, "Another one of your damned Yankee tricks." This document has been scanned.